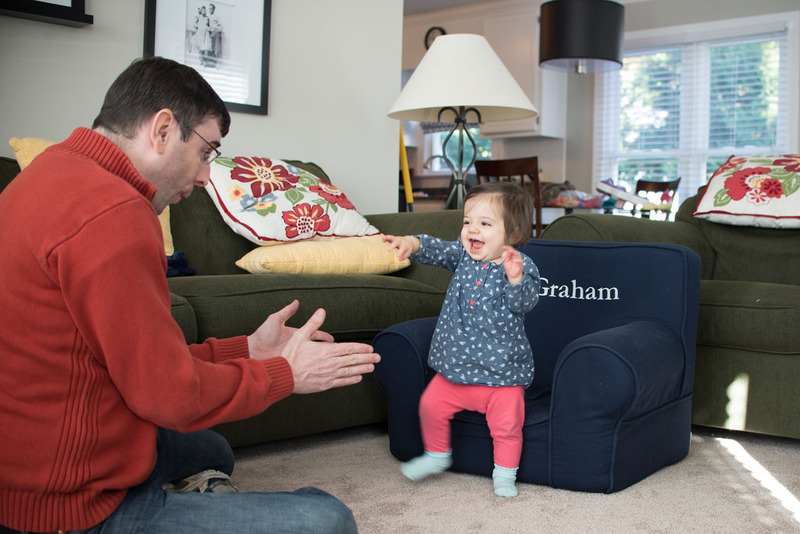 Sorta… She still prefers to crawl, but she will get up from one of the pottery barn chairs and walk a few steps to you. She will walk a little if you hold her hand, but crawling is fast and easy so it’s going to be awhile until she is truly walking. Wednesday night one of the neighbors was over playing with Graham. While he was busy playing Minecraft she was playing with Caroline. I walked over to sit on the couch and Caroline was walking to the neighbor! Turns out if you sit Caroline in a chair she will walk to you. So, that night I got this video. And the next day this one. And then I had to go back and look at this one…. and cry because my baby is half way done with kindergarten and not a baby anymore. I just love the way they walk when they are first learning.